Welcome to the Island of Oahu! Insider Hawaii offers guided Hawaiian bike trips in beautiful backcounty locations around the entire island of Oahu, near the fun towns of Haleiwa and even scenic rides overlooking Downtown Honolulu. This is a beautiful area – a pristine tropical paradise bookmarked by high peaks, deep valleys and miles of groomed single track for any ability level. It is the perfect playground for traveling bikers and road cyclists. Twisting and threading through the local trails are hundreds of miles of singletrack and jeep roads and we ride them all! 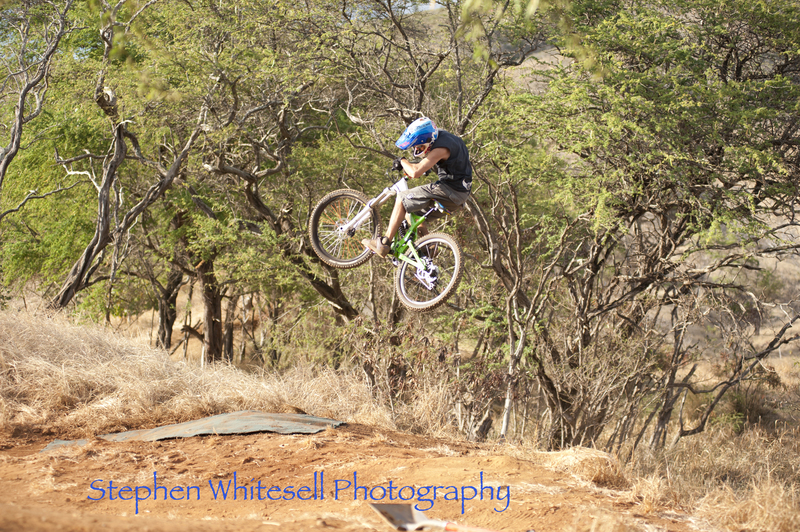 Some of our incredible trails include the North Shore’s Sunset hills, Royal Summit Jump Line, the Kahuku Track, and the Peacock Flats Climb. Born from a love of cycling, Insider Hawaii has local guides who not only know the area trails very well, but are also well versed in local folklore and natural history. All our guides are trained in first aid, CPR, emergency procedures and we carry emergency communication equipment at all times. Insider Hawaii provides clients with trips that are not only as safe as possible, but fun and educational along the way. Plus, it is more fun to ride with a local guide.